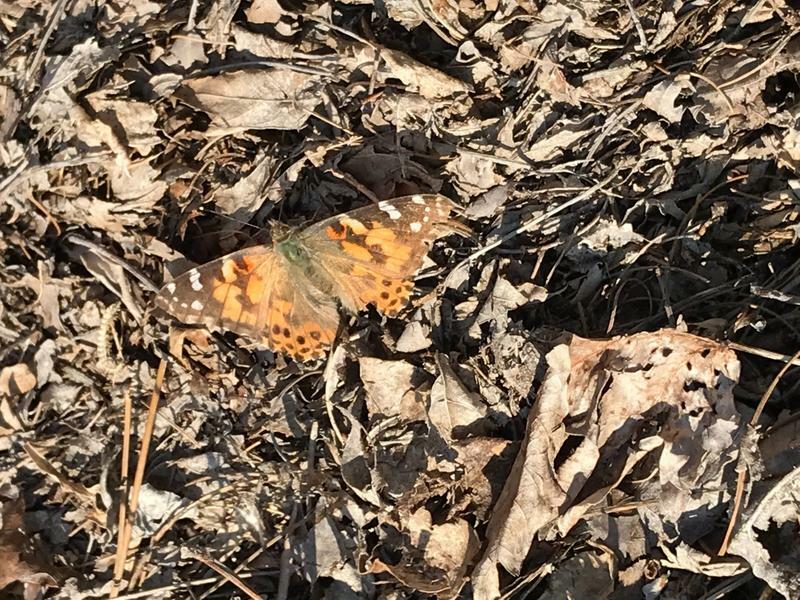 While mostly overcast, there was a break in the clouds that must have been warm enough to warm up a Painted Lady. I got a good view of it as it was preoccupied with trying to land on a pine tree, but it never sat long enough for photos. 38 degrees and sunny. I was very surprised to see a Monarch flying around. It landed in the parking lot and I picked it up and sat it in the sun. It flew over a 20 ft. hedge and headed south! 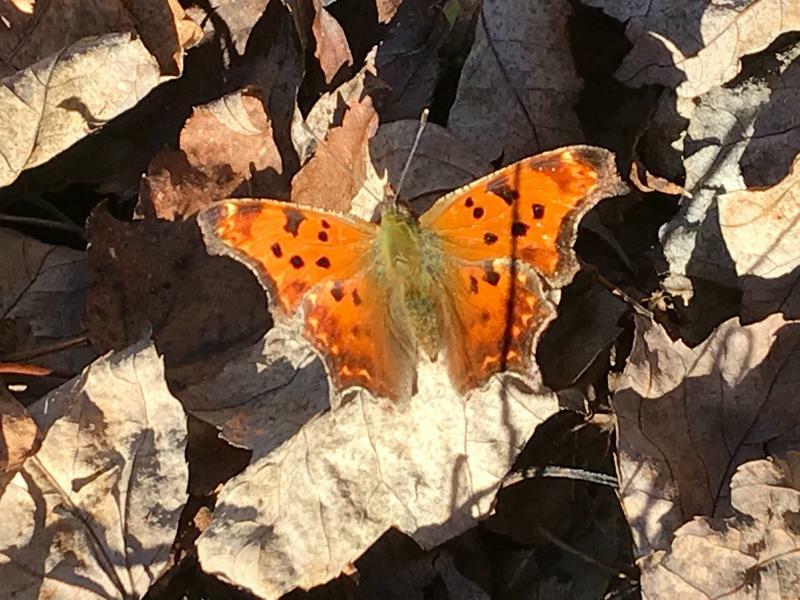 I was deer hunting today and saw this butterfly flying around. 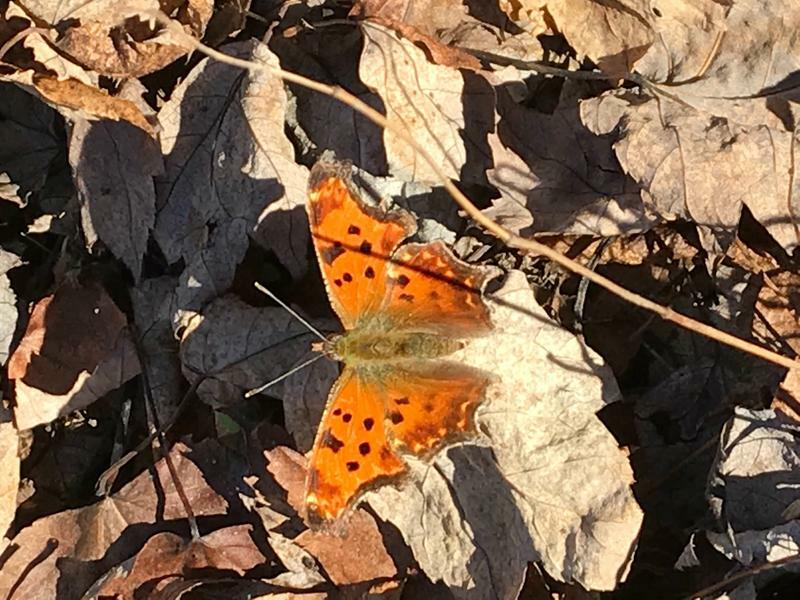 I am not a butterfly expert but it seemed odd to see one so late in the year..
1 Eastern Comma flying around my deer stand when the sun came out.